Dragon Blood Jasper, also called Dragon Stone, is found only in Western Australia. 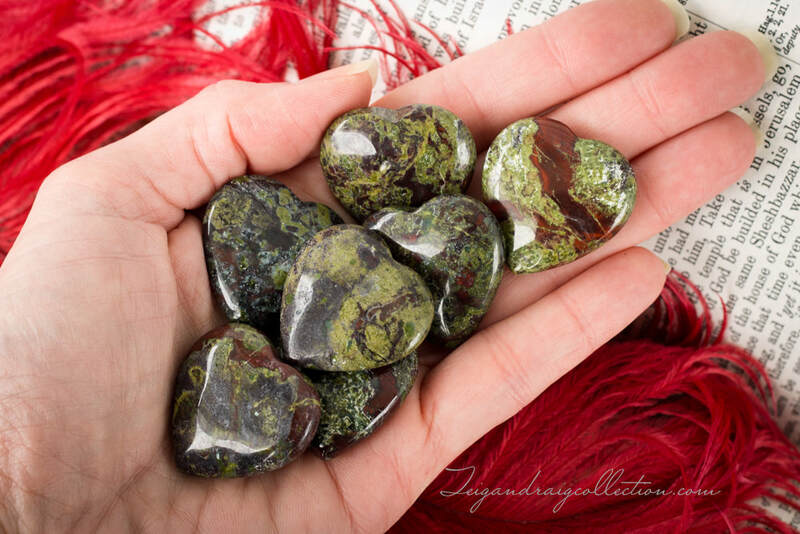 Dragon Stone is found in shades of green with shades of red matrix and possibly other colors. 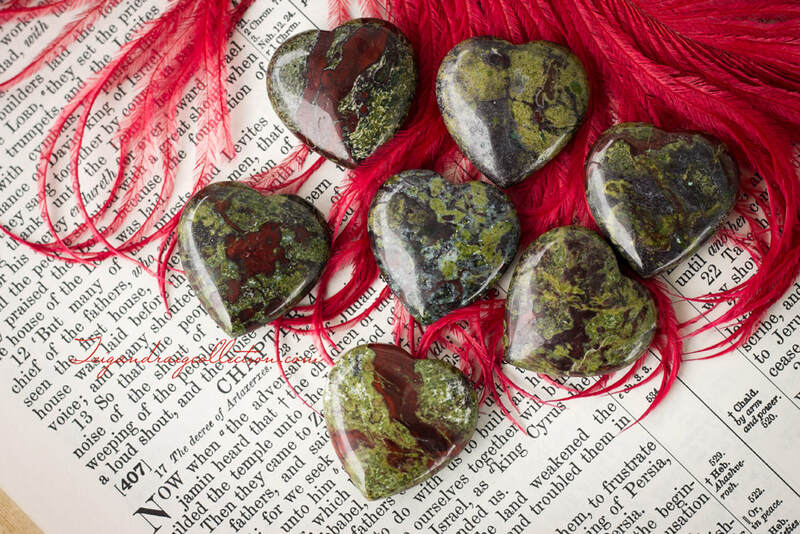 Dragon blood jasper derives its name from the local legend in Western Australia that states the stone is the remains of deceased ancient dragons with the green areas being the skin and the red areas the blood. Dragon Stone is associated with the Heart Chakra and its Zodiac association is Leo. Dragon Stone encourages the dragon in us all. Its properties draw strength and boldness, assists one in discovering personal power, and encourages vitality. It enhances Life Force, and activates pleasure in community interactions. Dragon Stone helps one achieve their goals, and draws love and prosperity. Dragon Stone brings gentle grounding, and protection from negative energies. 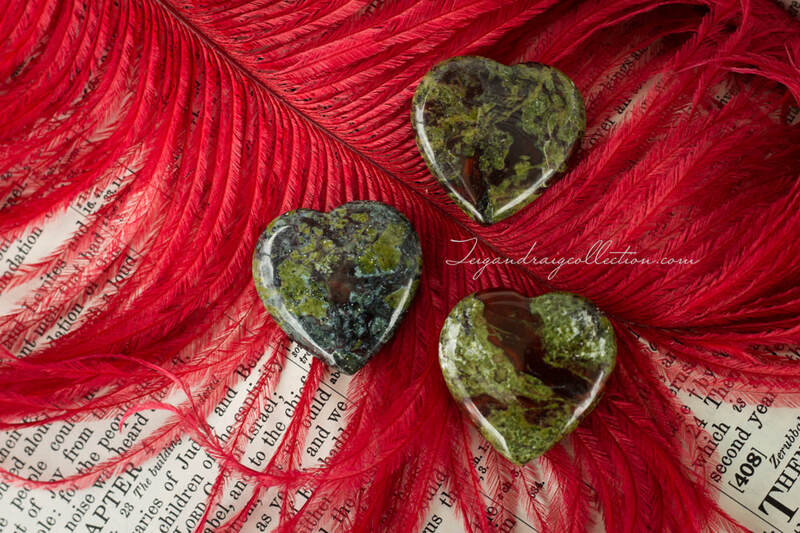 These Dragon Stone carved hearts measure 1.25 x 1.25 inches. The perfect size for carrying in your pocket or purse.